Is fashion, art? Many say yes. "Traditionally fashion has not been considered art, but something related to our every day life. Looking backwards over the last twenty years however, things have changed. 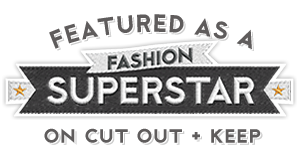 The media has recognized fashion's potential as a significant cultural force, gaining respectability among other popular phenomena such as theatre, journalism, advertising and film. Fashion has been positioned in this literature as an important conduit for the expression of social identity and aesthetic taste; it has at last begun to generate a critical literature too, that it can properly call its own" More on this article written by Valentina Dainelli can be found on the cultural studies web page of the University of Siena's website. Marian Smale is a dressmaker based in Napier, New Zealand. 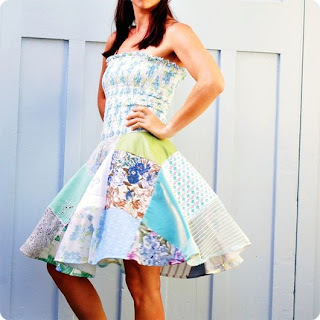 She creates wonderful 'wearable art' from mostly recycled fabrics. This, in my opinion, is quite special. 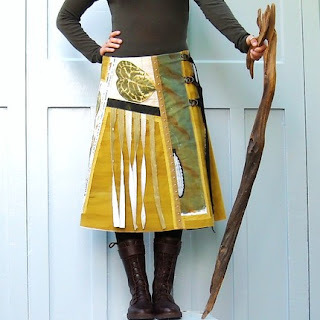 This beautiful warrior princess wrap skirt with a cotton base and a wildly eclectic mix of fabrics and fastenings is handpainted and printed from woodblocks as well as a sprinkle of commercial prints. Embellished with appligue and vintage buttons. Marian describes this skirt as "a biography of a kiwi life with typically mixed ancestry and the contrasts experienced in living in this land of the far south Pacific"
"I kind of take my recycling for granted a little bit because I've been doing it a loong time....in fact as long as I can remember the garments that had a previous life were inspiring to me, like Mums old stash of ancient clothes in a trunk when I was a kid. 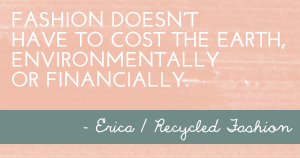 My materials come largely from thrift shops (op shops as we call them in New Zealand) One of the things I love along with the ethic of supporting a charity/recycling is the little old sweetie who work the rosters at the till in these shops. The exchange to be had here is a treat in itself and so different to shopping anywhere else." So to answer the question, is fashion art? The conclusion must emerge in the final product. High street fashion is surely no art form, but are handmade garments such as Marian's kilts, art? Absolutely. "The kilt is one of those pieces made with full passion over a long preiod of time...not the sort you pull out of the bag on any old day" Marian says of her fashion masterpiece. Holy Shamozie! I am LOVING your blog!! Yum yum yum! !